Carrington Cottage is a charming cottage suitated at Bonogin/Mudgeeraba, 5 Mins Drive to Mudgeeraba Village & Robina Town Centre. Conveniently located between the beautiful Gold Coast beaches and the lush Hinterland, only 15 mins drive to Burleigh beach and 25 mins drive to Surfers Paradise. Theme Parks 20 mins drive. 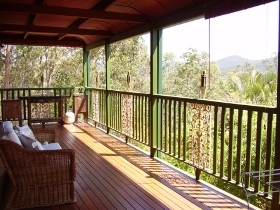 With superb hinterland views, yet only mins to town by car. 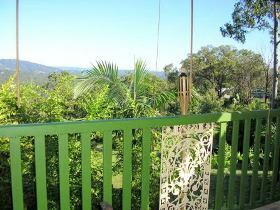 Carrington Cottage is a charming cottage situated at Bonogin/Mudgeeraba. Five minutes drive to Robina and Mudgeeraba village. 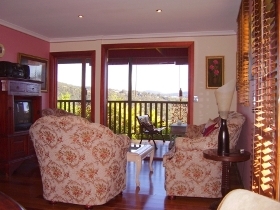 With superb views of the Hinterland. Set on the verge of town, with easy access to the motorway, by car. 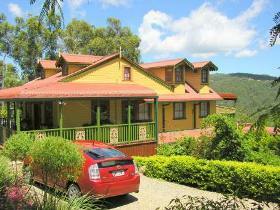 Conveniently situated between the beautiful Gold Coast beaches and the lush hinterland. 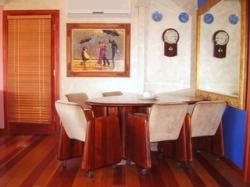 Only 15 minutes drive to Burleigh Beach, 25 minutes drive to Surfers Paradise. Theme Parks 20 minutes drive.